We’ve been supporting teachers with school trips for over 12 years. Our caring and supportive approach ensures all involved have an excellent experience from start to finish. Our action packed activity days start from £21.00 per person and our brilliant school residentials from £68.00 per person. We have a number of packages that are regular favourites with our schools and colleges that help support your key objectives. Our multi-activity day is ideal for an end-of-year reward or an induction day at the start of the year. These cross reference with many learning outcomes, Team Building being the most popular. Our residential packages are based in our glamping Tented Villages or our beautiful historic Manor House. You can choose from one, two or four nights and all include catering, although non-catered options are available. Our instructor-led activities start from the moment you arrive to the moment you leave, including evening activities too. Our group coordinators are here to support you and your group throughout the stay and will help make your visit run smoothly. We can also come to your school to deliver a presentation to parents and children about the residential experience. Schools offering DofE can take advantage of our camping facilities, which have external sinks and easy access. Want to find out more about our activities ? Our accommodation offers you a choice of two glamping Tented Villages, the Stable Block and the beautiful Victorian Manor House. They are all in the centre of 52 acres of stunning countryside based in Bromsgrove. All benefit from a safe central location. Our minimum number for accommodation starts from 16 people so ideal for smaller groups. A popular option with Schools who offer DofE; our two campsites at Blackwell Court and Pikes Pool offer plenty of space for your expedition. We also have outdoor washing up areas and all campers have access to our heated showers and toilet block.  You can also hire the Pikes Pool Centre building which has a kitchen, hall and private toilets and showers. Our activities are ideal for learning outside the classroom as they cover so many great outcomes such as team work, communication, social skills, self reliance and reflection. With two campsites and over 50 acres at each centre, you have plenty of space for camping. Ideal for a DofE trip or just to give pupils a taste of the great outdoors in a tent.  Blackwell Court has plenty of heritage plus a great team of people who are here to help. You can find out more about us and what we are all about here. No giggling at the pictures! With two Tented Villages, a traditional bunk house or our beautiful Manor House to choose from, there is something for everyone. All have separate Teachers rooms / tents. If your School runs a DofE Bronze programme we have the ideal campsites for you. We also run a DofE Gold residential package so young people can come along and take part. As the old saying goes, a picture speaks a thousand words, so we have plenty here for you to look over including our campsite, accommodation and our adventurous activities. We have booking packs to support you with your trip which have information such as food choices, bed lists and terms. Risk assessments and other info can be found here.